Today we look at another narrative in John’s story of Jesus’ resurrection and appearances, from John 20:11-18 (MSG). The resurrection narratives in John’s Gospel are like those in Luke, in that they show a progression of faith as they go along. In John’s characteristic style, however, he focuses on individual encounters with the Risen Christ and how those individuals come to believe and find life in his name (20:30-31). The author introduces Mary Magdelene in verse 1, but the first narrative (20:1-10) is really about how John came to faith through seeing the empty tomb. The second story (20:11-18) returns to Mary and shows how she came to faith through hearing the word of the risen Savior. 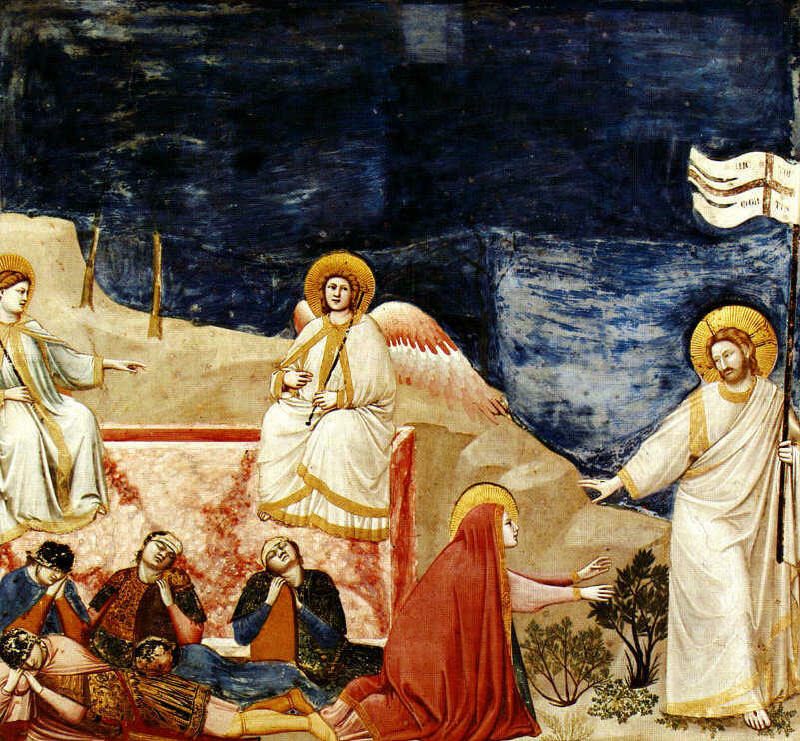 The third account, which happens in two movements (20:19-23/24-29), is the climax of the resurrection narratives, and indeed of the entire Gospel. Here we learn how Jesus invited Thomas to see and touch him, and how the doubting disciple fell on his knees in worship. Today’s text takes us into the garden with Mary. Weeping and confused, she hears the word of the angels, who question why she is in such a sad state. She expresses her grief, but before they can reply, she turns away and realizes that someone else, a Stranger, is there. Like the disciples on the Emmaus Road, she does not know it is Jesus. And just as Jesus did not reveal himself to those men right away, he does not immediately let Mary know who he is. He gently questions her, probing her sadness. In answer to her anguished appeal to help her find her “missing” Lord,Â Jesus speaks her name. At that moment, the scales fall from her eyes and she recognizes the Master! “My sheep hear my voice. I know them, and they follow me” (John 10:27). Jesus is telling Mary that she must not cling to her earthly relationship with him since the messianic age is about to begin. In that age she will have a new relationship with him which will be intense, more personal, and focused through the presence of the paraclete. The personal word of Jesus came to Mary in the Garden. It comes to us as the Spirit takes the message of the Gospel and applies it to our hearts. Although we do not have the same face to face experience with the risen Christ as Mary did, we likewise may know him truly and have life in his name through his living word. “Lord, to whom can we go? You have the words of eternal life” (John 6:68). Mary encountered several signs of resurrection (the empty tomb, the angels…) but reason and evidence alone does not lead us to see the risen Lord. Especially when, as Lewis says, “it’s hard to see clearly when your eyes are filled with tears”. Your words “The personal word of Jesus came to Mary in the Garden. It comes to us as the Spirit takes the message of the Gospel and applies it to our hearts.”, are true for all of us both in coming to Christ and continuing in Christ.